What happens when an overreaching state or federal government entity hassles a former military veteran just trying to make a living for his family? They use the power of big government as to shut down the family farm. My fellow citizens of Michigan and around these United States this has to and must stop and stop now! 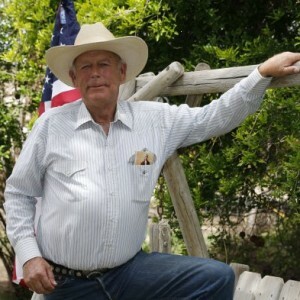 Just look at what is going on in Nevada with that cattle farmer as but another example. Politicians at both the state and federal levels and in this case are the ones that have gone “hog wild” aka big government out of control. 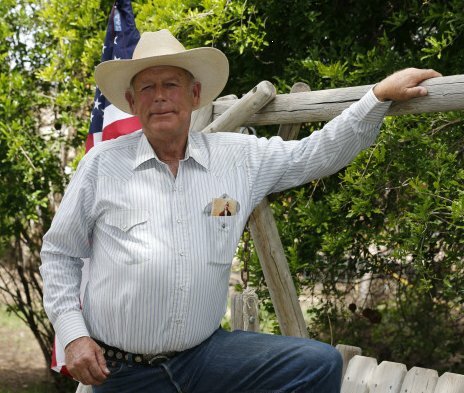 The two cases Mark Baker of Bakers Green Acres and the Michigan Department of Natural Resources along with Cliven Bundy and the U.S. Bureau of Land Management bring to light the need for a less intrusive government at both state and federal levels. 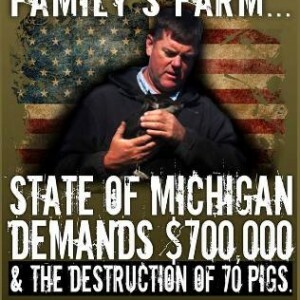 If attorney general Bill Shuette’s office wins this appeal it will have an adverse effect on all small business family hog farmers, including Baker and Hunting preserves in Michigan. 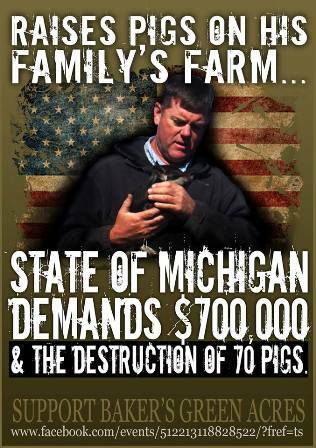 When you have special interest and lobbyist such as the Michigan Pork Producers Association dictating public policy through our elected officials in this state “Michigan Citizens we have a Problem. It’s our state and it’s our country and “We the People” are supposed to be in charge! It’s high time that “we” put a stop to this and the only way I know is to “vote them all out” of office and elect constitutional minded representatives who will shrink the size and scope of this overblown big government and strictly adhere to the constitution. The fact of the matter this isn’t about Democrats or Republicans it’s about both that are a huge part of the problem. If we continue to fall for their game of one political party is better than the other we are doomed. I would argue that both major parties have become just one in the same battling in public that they are different while in fact they are political allies behind the scenes that battle for power and control as to guide “their” agenda and not ours or what’s best for state and country. 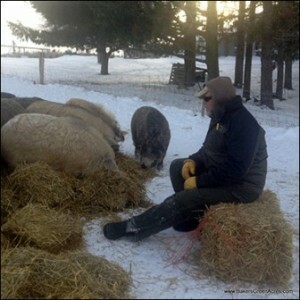 The Michigan Department of Natural Resources said Friday it is seeking to appeal an Upper Peninsula judge’s ruling that overturned a ban on certain breeds of pigs. In this case we all know who the real pigs are! The state attorney general’s office (Bill Schuette) filed papers asking the Michigan Court of Appeals to take the case, arguing that Circuit Judge Thomas Solka of Marquette County made errors in his March 24 decision. The election season is near cast your vote wisely my friends! Guess Michigan’s attorney general Bill Schuette didn’t get the memo! His office has appealed the judge’s ruling. A family farm in rural Michigan may be shut down by a Government Entity who has passed a law stating that the breed of hogs they are raising are a threat to neighboring croplands. 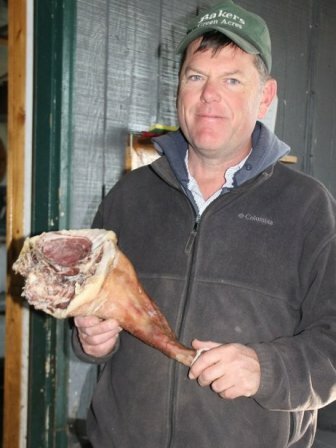 In truth, the Big Pork Industry has been planning this campaign to take down all family farms with hopes to eventually siege complete control of the American Food Supply. This short-film was created with hopes to inspire the public to take action. 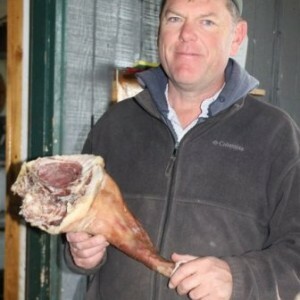 The Baker Family website is www.bakersgreenacres.com and their battle has just begun. Please join in their fight. On one side of this fight stands the Michigan Department of Natural Resources (DNR) and the Michigan Pork Producers Association (MPPA). On the other side are roughly 2,000 small farmers like Mark Baker of Green Acres Farm in Marion.